We have the power to change the world, and we must. I am among the 100 women selected from all over the world to participate in Homeward Bound, an initiative that is fighting for a sustainable planet and an egalitarian world. This is my little contribution for a better world. Support my journey to inspire many. Podem canviar el món. És més, tenim l'obligació d'intentar-ho. Formo part de les 100 dones seleccionades d’arreu del món per participar a Homeward Bound, una iniciativa que està lluitant per un planeta sostenible i un món igualitari. Aquesta és la meva petita contribució per un món millor. Ajuda'm a inspirar a moltes més persones. Do you ever feel that our world is upside-down? We live in a time of rapid changes and disruption as we face growing levels of inequality, mass migrations, a crisis of leadership tied to a profound disconnection from other people’s problems, and rapid environmental degradation. Carbon emissions are warming our planet, acidifying the oceans, raising the sea level, and worsening droughts, fires, heatwaves, and torrential storms. All of this represents a threat to human life and ecosystem diversity, and carries an inertia that will be difficult to reverse for hundreds of years. We are just few decades away from the point of no return. On top of that, pollution and depletion of natural resources, deforestation, uncontrolled production of waste, overfishing, a shift towards big monocrops, and many other abuses on the Earth are also contributing to the degradation of our environment and are turning our planet into a dirty, inhospitable one. Because this sustainability crisis is strongly tied to human rights. Environmental degradation is already aggravating class differences, health problems, food and water quality, and climate-driven migrations, and so it is intensifying the struggle for an equalitarian world with no poverty and inclusive growth. Great, now I am overwhelmed. We have the power to rethink our world, but we need leaders with a global, inclusive, and long-term vision that take responsibility for the damage already done and seek solutions, fast. Luckily, there are already a lot of initiatives and individuals that challenge the status quo. We are on our way to decarbonizing the electricity and transport sector with renewable energies and there are thousands of ground-based movements that go to the streets and even manage to challenge governments in courts. Changes are happening from the community level to the state and international level. But we still need more initiatives and much quicker changes. Homeward Bound is one of these initiatives. It believes that the empowerment and promotion of women in leadership positions is an essential part of the solution towards a sustainable planet (see here and more below). Creieu que el nostre món està una mica de cap per avall? Vivim en un moment de canvis ràpids i de ruptura que es manifesta amb un agument de la desigualtat, migracions massives, una crisi de lideratge vinculada a una desconnexió dels problemes dels altres i una profunda degradació ambiental. Les emissions de carboni fan que el nostre planeta s'escalfi, que els oceans es tornin més àcids, que el nivell del mar pugi, i provoca més sequeres, incendis, onades de calor, i tempestes torrencials. Tot això representa una amenaça per als humans i la diversitat dels ecosistemes i comporta una inèrcia difícil de revertir durant centenars d'anys. Ens trobem a poques dècades del punt de no retorn. A més, la contaminació i l'esgotament dels recursos naturals, la desforestació, la creació incontrolada de residus, la pesca massiva, un canvi cap a grans monocultius i molts altres abusos sobre els recursos naturals de la Terra també contribueixen a la degradació del nostre medi ambient i converteixen el nostre planeta en un lloc brut i inhòspit. Per què em preocupa això? Perquè aquesta crisi de sostenibilitat està fortament relacionada amb els drets humans. La degradació ambiental ja està agreujant les diferències de classe, els problemes de salut de la població mundial, la qualitat dels aliments i de l'aigua i les migracions impulsades pel clima, així que la lluita per un món igualitari sense pobresa i amb creixement inclusiu es fa cada cop més difícil. I tot això com ho solucionarem? Podem repensar el nostre món, però necessitem líders amb una visió global, inclusiva i de llarg termini que es responsabilitzin pel dany ja fet i busquin solucions, ràpidament. Afortunadament, hi ha moltes iniciatives i persones que desafien l'statu quo. Gràcies a les energies renovables, els sectors de l'electricitat i el transport s'estan descarbonitzant. Hi ha milers de moviments que es manifesten al carrers i fins i tot desafien els governs als tribunals. Els canvis s'estan produint des del nivell comunitari fins al nivell estatal i internacional, però encara necessitem més iniciatives i canvis molt més ràpids. Homeward Bound és una d'aquestes iniciatives. Creu que l'apoderament i la promoció de dones en llocs de lideratge són necessàries per aconseguir un planeta sostenible (vegeu aquí i més avall). Over the course of 10 years (starting 2016), Homeward Bound will train and connect 1,000 women scientists, policy makers, and communicators from around the world (100 per year) in the hands of faculty experts such as Jane Goodall, Sylvia Earle, or Christiana Figueres with the aim of increasing our leadership capacity, visibility and credibility so that we can raise awareness about the state of our planet and together, make a lasting impact in our communities and influence companies and governments towards a sustainable future. This year, we are coming from 33 countries, and represent 25 different disciplines. Meet our team at #TeamHB4. The fourth edition of the program began on-line in November 2018 and will culminate with a 3-week expedition to one of the most ecologically sensitive and inspiring areas on Earth: Antarctica (November 2019). Why Antarctica? Antarctica symbolizes the fragility of the natural world. The Antarctic region is crucial to our climate, mostly because of the massive ice cap and the surrounding ocean, which stores a large fraction of the excess heat. But despite this buffer capacity, the Antarctic landscape is changing rapidly, affecting the fragile ecosystem there and with potentially disastrous consequences for the rest of the planet. This is how the expedition becomes (apart from our itinerant classroom) an action that aims to provide visibility for women and climate change in this fascinating and remote setting. Research repeatedly shows that increased diversity in the leadership table guarantees better solutions and ideas. Women are more vulnerable to climate change especially in the poorest countries. Because women are traditionally responsible for household resources such as food and water and for primary education to the next generations, they are especially interested in and prepared for finding solutions to prevent further degradation and adapt to climate change. Ignoring the gender gap is costing us a loss of about 18% of the global GDP (Marc Teignier & David Cuberes, 2014). “Gender equality is not only a fundamental human right, but a necessary foundation for a peaceful, prosperous and sustainable world” (from the UN Sustainable Development Goal 5 ‘Gender Equality’). Gender equality should be integrated in all aspects of climate change decision making. I study the mid and long-term effects of climate change throughout the 21st century –you can read more about my research here. We need individual changes in our daily lives, but also strong political will and international cooperation to make the structural changes needed to overcome this challenge that neither the free market nor nature alone will fix. As a scientist studying climate change, I can and I must take responsibility for connecting my background in climate studies with the ways to influence policy and communicate to people outside of academia. Homeward Bound will give me the starting tools, network, visibility, and the perfect opportunity to do so. Awareness and education are our hope. It is fundamental that children understand that they will inherit a damaged planet, that sustainability and human rights are linked, and to provide them with the tools needed to always challenge our complacency and fight for a better world. I am working together with the other 4 selected Spanish participants on initiatives that bring our region closer to a sustainable and egalitarian world (see ellaslideran.cc). 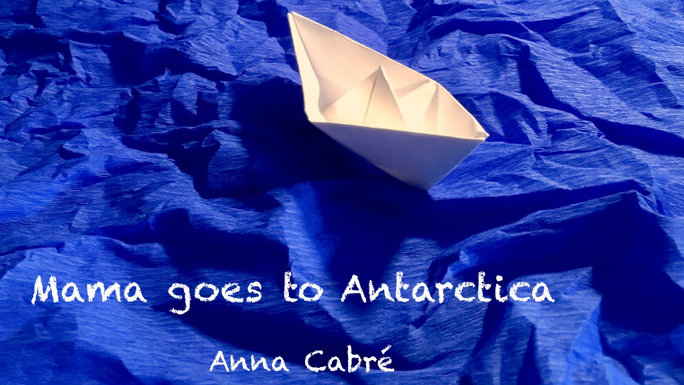 I am writing a story book for my little children (and every little child in the world) about how ‘Mama goes to Antarctica’ and meets penguins, whales, icebergs, and lots of women scientists from diverse backgrounds and fights for a better world. Follow me in Facebook here or in twitter @AnnaCabreAlbos! Al llarg de 10 anys (començant l'any 2016), Homeward Bound entrenarà i connectarà 1.000 dones científiques, polítiques i comunicadores de tot el món (100 a l'any) en mans d’eminències com Jane Goodall, Sylvia Earle o Christiana Figueres amb l’objectiu d'augmentar la nostra capacitat de lideratge, visibilitat i credibilitat perquè puguem conscienciar sobre l'estat del nostre planeta i, juntes, aconseguir un impacte durador en les nostres comunitats i influir empreses i governs per a un futur sostenible. Aquest any venim de 33 països i representem 25 disciplines diferents. Conegueu el nostre equip a #TeamHB4. La quarta edició del programa va començar el novembre de 2018 i culminarà amb una expedició de 3 setmanes a una de les àrees més sensibles de la Terra: l'Antàrtida (novembre de 2019). Per què l'Antàrtida? L'Antàrtida simbolitza la fragilitat del món natural. La regió de l'Antàrtida és crucial per al nostre clima, sobretot gràcies a la capa de gel i a l'oceà circumdant, que emmagatzema una gran part de l'excés de calor. Però, malgrat aquesta capacitat tèrmica, el paisatge de l'Antàrtida està canviant ràpidament, amb efectes sobre el seu ecosistema i amb conseqüències potencialment desastroses per a la resta del planeta. Així és com l'expedició es converteix, a part de la nostra aula itinerant, en una acció simbòlica que preten donar visibilitat a les dones i al canvi climàtic en aquest indret fascinant i remot. La recerca mostra repetidament que els equips de lideratge amb més diversitat porten a millors idees i solucions. Les dones són més vulnerables al canvi climàtic, especialment als països més pobres. Com que les dones són tradicionalment responsables dels recursos de les famílies, com ara l'alimentació, l'accés a l'aigua i l'educació primària a les pròximes generacions, estan especialment interessades i preparades per trobar solucions per evitar una major degradació i adaptar-se al canvi climàtic. Ignorar la disparitat de gènere suposa una pèrdua de prop del 18% del PIB global (Marc Teignier i David Cuberes, 2014). "La igualtat de gènere no és només un dret humà fonamental, sinó la base necessària per a un món pacífic, pròsper i sostenible" (de l'objectiu 5 de desenvolupament sostenible de les Nacions Unides 5 "Igualtat de gènere"). La igualtat de gènere s'ha d'integrar en tots els aspectes de la presa de decisions sobre el canvi climàtic. Estudio els efectes a mig i llarg termini del canvi climàtic al llarg del segle XXI - podeu llegir més sobre la meva recerca aquí. Necessitem canvis individuals en la nostra vida quotidiana, però també voluntat política i cooperació internacional per fer els canvis estructurals necessaris per superar aquest repte que ni el mercat financer ni la naturalesa solucionaran per si sols. Com a científica que sóc, tinc la responsabilitat i l'obligació de connectar el meu coneixement sobre el clima amb la manera d'influir en política i comunicar a persones fora de l'àmbit acadèmic. Homeward Bound em donarà les eines, la xarxa, la visibilitat i l'oportunitat perfecta per aconseguir-ho. L'educació és la nostra esperança. És fonamental que els nens entenguin que hereten un planeta danyat, que la sostenibilitat i els drets humans estan vinculats, i que els proporcionem les eines necessàries per desafiar sempre la nostra complacència i lluitar per un món millor. Estic escrivint un llibre de contes per a nens petits sobre com "La mama va a l'Antàrtida" i es troba amb pingüins, balenes, icebergs i moltes dones científiques i lluita per un món millor. 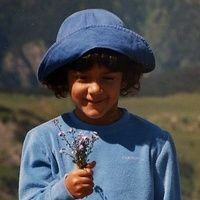 Segueix-me al Facebook aquí o al compte de Twitter @AnnaCabreAlbos! The cost of the program is $17,000 (after subtracting in-kind donations) plus plane tickets, supplies, insurance, and materials for the Antarctica expedition (another ~$3,000). If you donate, I will send you an electronic copy of a 2020-calendar with pictures from Antarctica, or any of the rewards below. I am also very happy if instead of donating money, you help me find donors, spread the word to your network, or share ideas with me about initiatives that combine sustainability/children/human rights. And here are some amazing perks! El cost del programa és de $17.000 més bitllets d'avió, assegurança, i materials per a l'expedició. A canvi del qualsevol donatiu, rebreu una còpia electrònica d'un calendari 2020 amb fotografies de l'Antàrtida, o alguns dels premis detallats més avall. Si enlloc de diners, m'ajudeu a trobar patrocinadors, ho compartiu a les vostres xarxes socials, o compartiu idees amb mi sobre iniciatives que combinin sostenibilitat / nens / drets humans, us estaré molt agraïda. I will send you a postcard from Antarctica (most likely from Port Lockroy) CATALÀ: T'enviaré una postal des de l'Antàrtida! Write a message to a special woman (or girl) in your life, and I will deliver it in the form of a picture from Antarctica (with text behind), or read it loud in a video (or dance it) . CATALÀ: Llegiré en veu alta un missatge breu a una dona especial (o noia) de la teva vida (en forma de vídeo) des de l'Antàrtida. A tale for my children and yours. 'Mama goes to Antarctica' and meets penguins, whales, icebergs, and lots of women scientists from diverse backgrounds. / CATALÀ: Un conte pels meus fills i pels teus. La mama es dirigeix a l'Antàrtida i coneix pingüins, balenes, icebergs i moltes dones científiques. * €20 in offline donations included in total.